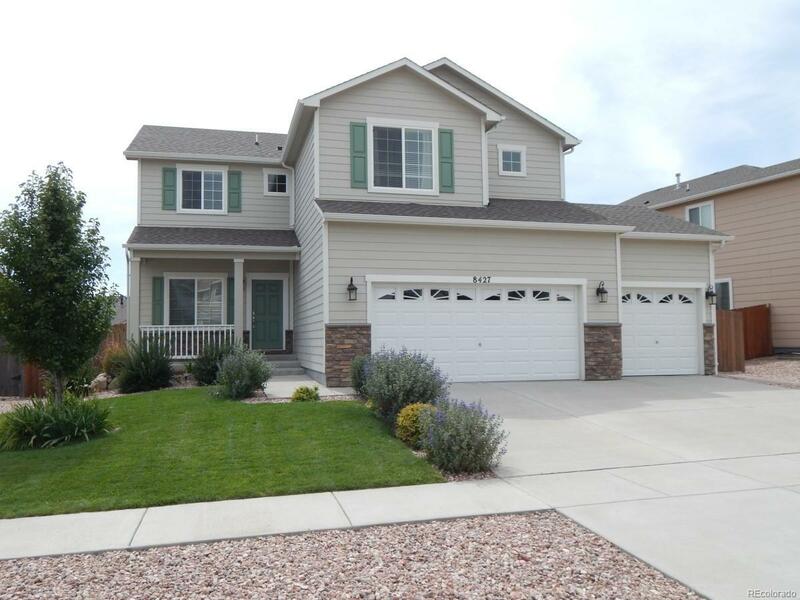 This meticulously maintained Home is Move-in Ready! Main Level Living Room and Dining Room, very spacious Eat-in Kitchen, and the fourth Bedroom. Kitchen has Walk-in Pantry, adjacent Laundry Room, and Walkout to the beautiful Back Yard. The Upper Level has large Master Bedroom Suite with Five-Piece Bath and 11'x9' Walk-In Closet. The 15'x13' Loft provides the area for Family Room entertainment center and activities. The Second and Third Bedrooms are also on the Upper Level. The Second Bedroom has a 6'x5' Walk-in Closet. The Unfinished Basement is insulated and roughed-in with electrical/plumbing/mechanical for future finish. Builder's plans for finishing Basement included a Rec Room, Two Bedrooms, and a Bath. The oversized 3-Car Garage has a high ceiling with two large shelves over the garage doors for extra storage. Both Garage Doors have Openers. The beautifully landscaped Front and Back Yards have a full Sprinkler System. The Front Yard is tastefully landscaped with shrubs.